Pryda, Ilan Bluestone & Jerome Isma-Ae, Aurosonic & Martire, Juventa, Dart Rayne & Yura Moonlight and more. 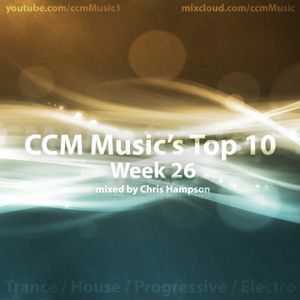 Episode # 26 of our Top 10 includes a lot of trance. It features the wonderful Under My Skin by ilan Bluestone & Jerome Isma-Ae. There are of course a load more beautiful songs as well including Paul van dyk & Arnej&apos;s new collaboration and the long awaited release of Dash Berlin&apos;s bootleg of Band Of Horses song! Feel free to subscribe/like/favourite if you like what you hear and be sure to check out more of our mixes both on Youtube and Mixcloud. Follow us on Twitter for the latest updates on what we are doing!